1) Bhphoto created that nice Sony rebates page (Click here). You can see the full list of deals. And there are so many of them! Like that nice A850+lens deal for example (Click here). The same deals are also ongoing on other stores like Amazon, Adorama and J&R. But they didn’t display them as good as BH did. -$50 on the A580 at Amazon, Adorama, B&H and J&R. -$50 on the A55 at Amazon, Adorama, B&H, J&R, eBay. -$50 on the A33 at Amazon, Adorama, B&H, J&R, eBay. -$50 on the NEX-5 at Amazon, Adorama, B&H, J&R, eBay. -$50 on the NEX-3 at Amazon, Adorama, B&H, J&R, eBay. 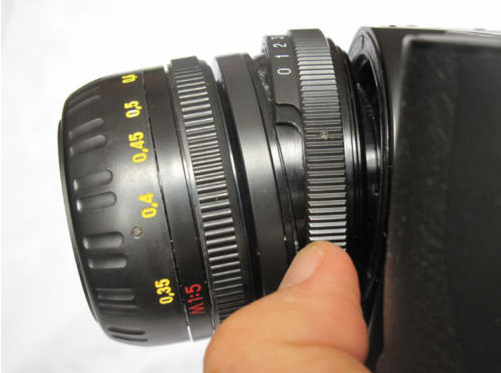 Sony NEX owners that are looking for a tilt lenses usually do consider to buy the Lensbaby composer which costs $344. But one of our readers (thanks Matt!) found an interesting and much cheaper lens on eBay. The lens pictures on top is the multicoated Tilt Zenitar 50mm brand new lens, manufactured in 2011 in Russia and modified with tilt mechanism in Ukraine. It has the same design as the famous Hartblei lenses. It can tilt at plus/minus from 0 up to 8 degrees. If you want to read more about the lens and the price an american reseller has them in Stock on eBay (Click here). UPDATE: Another reader sent me a link to the Kipon Tilt adapter for NEX on eBay (Click here). After the NEX and the SLT cameas also the A580 gets a $50 discount in US. Last week I have been a bit surprised to see that Sony launched a $50 instant rebate offer for the NEX and SLT cameras. Why surprised? Because of the recent power supply problems in Japan I did expect to see some supply shortage and maybe some price increase too. But Sony launched an instant rebate offer in US (not in Europe or Asia as long as I know). 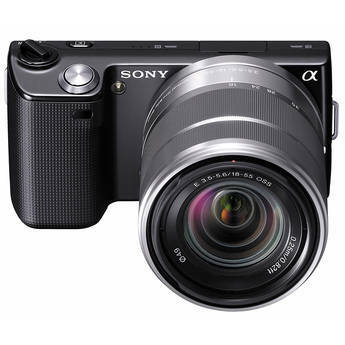 Today also the excellent Sony A580 camera have been included in the instant rebate action. See the A580 body-only and body-kit-lens price at Amazon, Adorama, B&H and J&R (Click on shop names). Cool or not? If europeans and asian do find similar deals or rebates drop me a line at sonyalpharumors@gmail.com. Thanks! Click those links to check the final price of both body-only and the kit lens option: Amazon, Adorama, B&H, J&R, eBay. Also the A33 deal is back (there was already an instant rebate offer a couple of weeks ago). Check out at Amazon, Adorama, B&H, J&R, eBay. I confess I am bit surprised to see those offers. I hope it means that supply problems from Japan are not as worse as expected. A quick reminder for our readers from US. The two biggest photo online stores will be closed in observance of Passover from Monday, April 18th, through Tuesday April 26th. As I mentioned yesterday I do expect shortages and maybe price increments on some Sony products because of the recent Tsunami-Nuclear disaster. If you do plan to buy a camera or lens than it might be the right time to start shopping! Here are quick links to tour affiliate stores: Amazon, B&H, Adorama, eBay. 1) When you buy a NEX-5 or NEX-3 you get an $150 instant rebate when you buy it with both the 16mm and the 18-55mmm lenses. Check at Amazon (Click here), Adorama (Click here) and BHphoto (Click here). 2) You save $230 on the new Sony A55 and 18-250mm Lens Bundle at Amazon (Click here), Adorama (Click here) and BHphoto (Click here). 3) You can get discounted used camera kits at BHphoto (Click here). BHphoto sent me an email with their latest NEX deals. If you purchase any NEX camera you SAVE $150 when bundled with either additional NEX lens (SEL-1855 or SEL-16F28) offering. Click here to see the list of all NEX cameras.